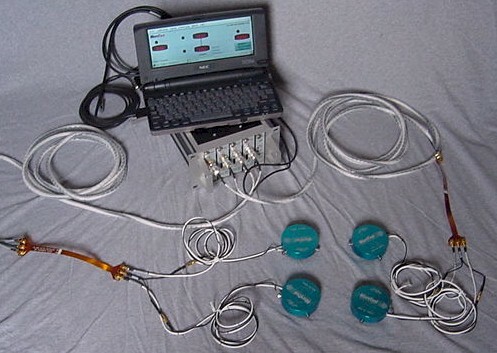 High resolution probe system for leveling shower plates in a vacuum deposition chamber. 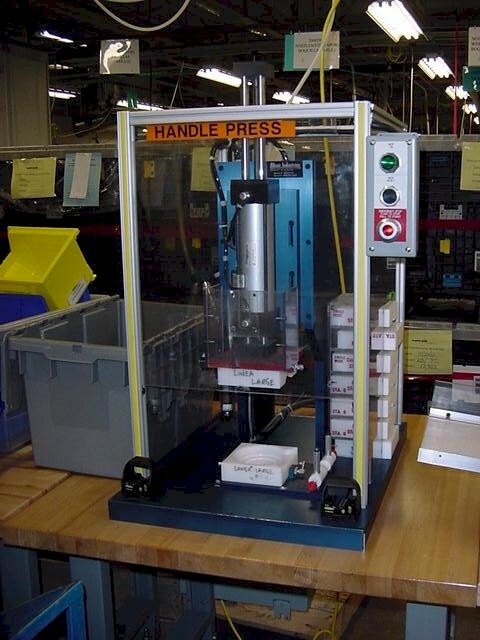 Handheld PC with GUI, vacuum feed-throughs, and spring loaded "Pucks"
Automated Coin Press with Autofeed and Auto edge detect, 12' long build up conveyor. Capable of 4 second cyle time. 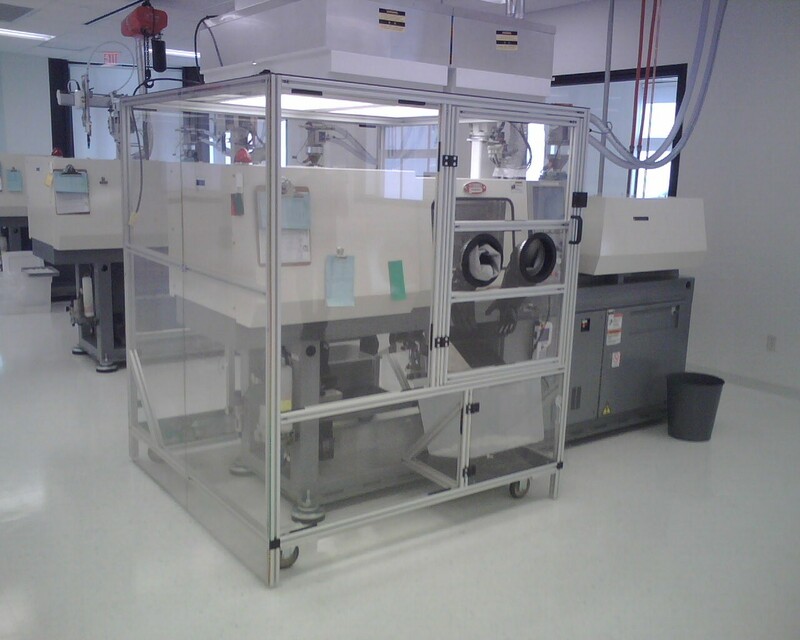 Fully automated tip coating system with liquid handling, vibratory feeders, and temperature controlled curing oven. 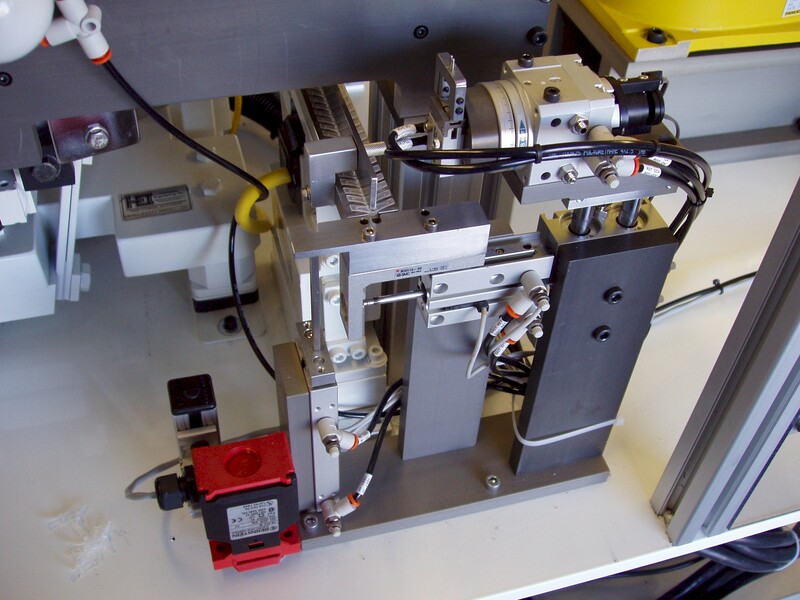 Servo indexing, passive part strip-off and automatic bin filling. 200 parts per minute production rate. 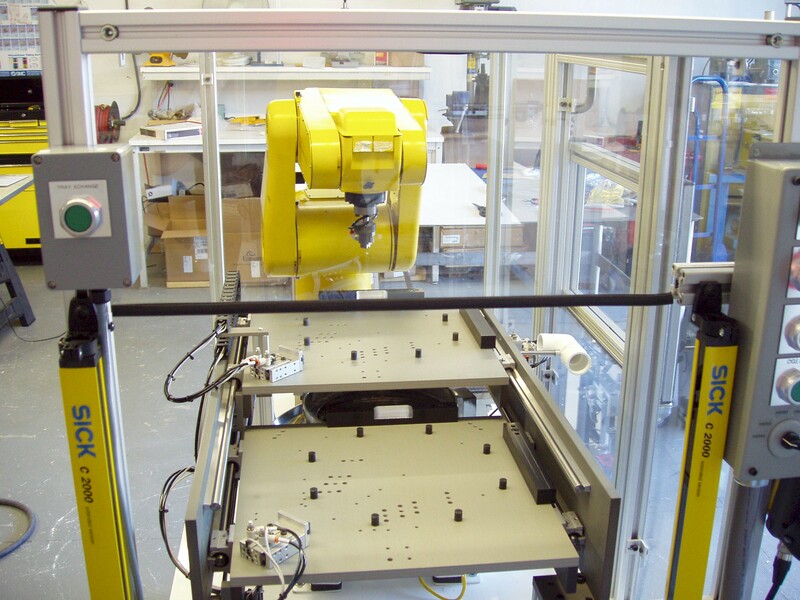 High precision robotic dispensing system for high viscosity silicones and other media. Capable of complex patterns, and includes pass/fail testing, dual opto-touch controls, and full guarding.